We visited the Andaman Islands a few weeks ago to learn about their rich biodiversity, conservation of their ecosystems, and the history of their development. Part of our time was spent with ANET (the Andaman and Nicobar Environmental Team) who taught us about those various subjects and led field trips into the community and around the coastal ecosystems. One of the field trips that they organized was to the local fish landing site where the local fishermen dock their boats and unload their catch for export or sale at the market. This was an excellent experience for us to see how the community was centered around the fishing industry as their primary source of income and employment. We observed the fishermen unloading their catch, weighing it, and then handing it off to be sold. Some of the fish was immediately thrown into trucks with ice coolers to be exported to markets in China or other Asian countries. The vendors were selling red snapper and shrimp, but there were also quite a few small sharks, which were a part of their bycatch, or fish they did not mean to catch. After looking around for a few minutes, we grouped together and heard some insights from Mahima, our guide from ANET. The local fish landing had a few boats that had just come in from a morning of fishing and were having their catch weighed to be sold on the market or shipped as an export. Photo by Kassidy Hadley. Mahima told us that the fisheries in the Andamans are not being regulated by the government and that the fishing community was given boat and equipment subsidies to exploit the marine ecosystem at a larger scale for the sake of economic growth. She said that ANET was promoting sustainable fishing practices by trying to get the local fishermen to log their catch for each trip. Each year they put together a calendar that showcases the fishermen who have the most well-kept catch logs for each month, giving them a picture of their boat and a paragraph about their story. I don’t know how well that calendar is persuading fishermen to keep good records, but it’s a small step toward sustainable fishing in the Andaman Islands, which was completely lacking until ANET and the Dakshin Foundation stepped up. Sustainable fishing promotes the longevity and quality of a fishery, ensuring financial security for the community for years to come. Mahima had me thinking about the idea of cooperative strategies to fishery conservation and how the Andamans could benefit from stronger community involvement in sustainable fishing practices. 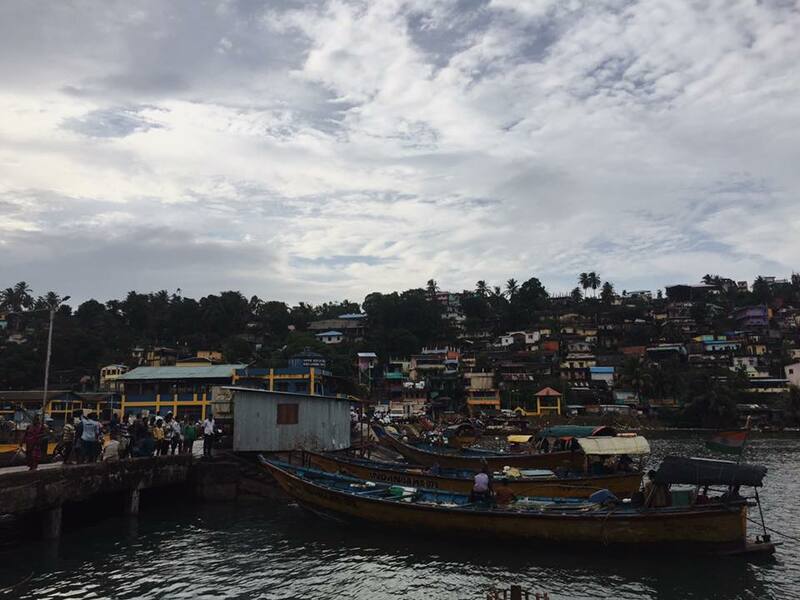 The fish market highlights how the fishing industry is the primary source of income for the local Andaman Island community in Port Blair. Photo by Kassidy Hadley. There are quite a few studies on community involvement in ecological conservation as a strategy to promote the success and longevity of a program intended to preserve the biodiversity of an area. To be clear, the government of India has its own rules and regulations on fishing practices that are stated in the various pieces of legislation such as the Wildlife Protection Act and the Indian Fisheries Act, which are regulated by the Directorate of Fisheries. The laws are there, they just aren’t practiced or enforced, which we have continuously seen as a weakness of the Indian government’s environmental branch. ANET and the Dakshin Foundation have previously partnered to develop a report on the Development of Fisheries in the Andaman Islands for 2013. They compiled data not only on the fishermen and their catch, but on their fishing practices, the status of the local fish market, how the local community is involved in the fishing industry, and various other relevant factors that were useful in a holistic evaluation of the state of the fisheries in the Andamans. It’s quite impressive how much information they compiled, but I was most impressed with how they looked at the entire community as a part of managing the fishery. To develop an effective conservation plan, they needed to evaluate the current status of the community, which will help them individualize what kind of support ANET might prioritize and what areas might need to be concentrated on. Education as a tool for societal change was the big theme I took away from their report and other fishery studies, and I think ANET would do a fine job in putting together an education session for the community stakeholders at that local fishery landing. Partnering with local stakeholders in developing an individualized conservation or sustainability plan seems to be a successful method for promoting an effective and long-lasting program. However, the stakeholders must be educated on the benefits of sustainable practices for the long-term success of their industry, providing financial and nutritional (food) security for a community that heavily relies on fishing for their livelihood. Additionally, studies found that starting a sustainable fishing project on a small-scale works better than larger scale programs – which would be perfect for the relatively small Andaman fishing community we visited with ANET. Hopefully, the fishery will become sustainable and profitable through cooperation between stakeholders, empowering the people to control the future of their industry despite being pressured with expectations from the government to expand at an unsustainable rate. India hopes to continue its annual 7% growth in GDP year after year, but that kind of development is not sustainable. Fisheries are part of that development, and with the looming threat of global climate change, hopefully somebody will realize that massive, continued economic growth at the expense of the environment is only going to come back to haunt us later. Protecting the earth’s future for us and our offspring is a common goal that everybody can wrap their head around. Thus the entire community has a shared reason to be involved in sustainable practices. Advani, S, A Sridhar, N Namboothri, M Chandi, and M A Oommen. 2013. “Emergence and Transformation of Marine Fisheries in the Andaman Islands.” Dakshin Foundation and ANET. file:///D:/Advani-et-al-2013-Emergence-and-Transformation-of-Marine-Fisheries-in-the-Andaman-Islands_lowres.pdf. Cowx, I. G., R. Arlinghaus, and S. J. Cooke. 2010. “Harmonizing Recreational Fisheries and Conservation Objectives for Aquatic Biodiversity in Inland Waters.” Journal of Fish Biology 76 (9):2194–2215. https://doi.org/http://dx.doi.org.ezproxy.lib.davidson.edu/10.1111/j.1095-8649.2010.02686.x. Jennings, Simon, Anthony DM Smith, Elizabeth A. Fulton, and David C. Smith. 2014. 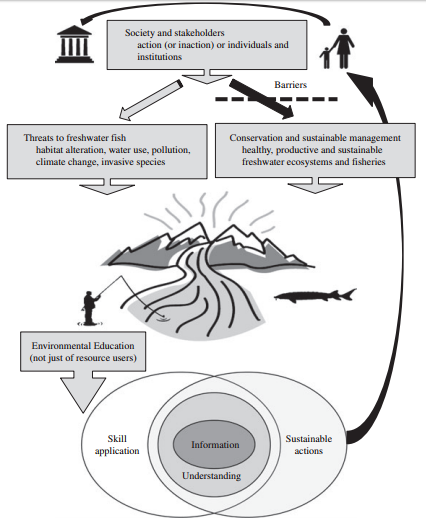 “The Ecosystem Approach to Fisheries: Management at the Dynamic Interface between Biodiversity Conservation and Sustainable Use.” Annals of the New York Academy of Sciences; New York 1322 (1):48–60. https://doi.org/http://dx.doi.org.ezproxy.lib.davidson.edu/10.1111/nyas.12489. Silas, E. G. 2003. “History and Development of Fisheries Research in India.” Journal of Bombay Natural History Society 100 (2 & 3):502–20. 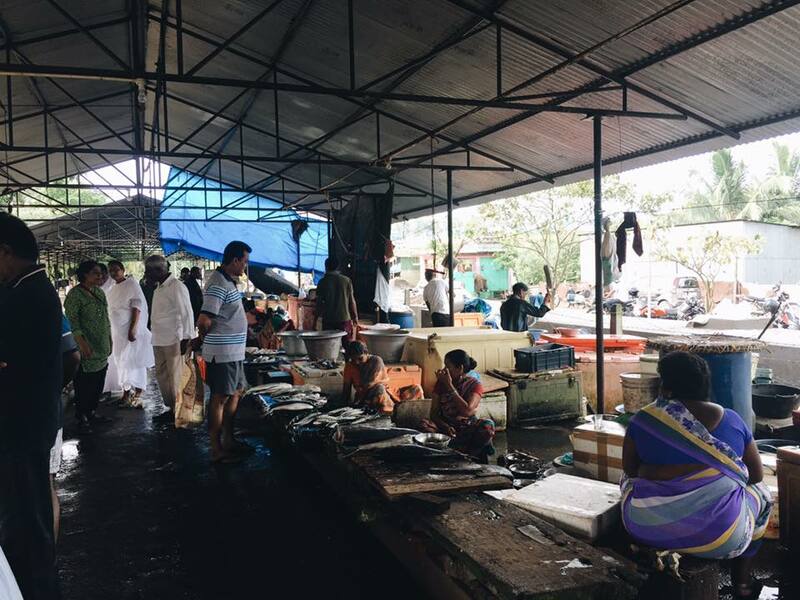 “State Regulation versus Co-Management: Evidence from the Cochin Estuarine Fisheries in India.” n.d.
Weigel, Jean-Yves, Kathryn Olivia Mannle, Nathan James Bennett, Eleanor Carter, Lena Westlund, Valerie Burgener, Zachary Hoffman, et al. 2014. “Marine Protected Areas and Fisheries: Bridging the Divide.” Aquatic Conservation: Marine and Freshwater Ecosystems 24 (S2):199–215. https://doi.org/http://dx.doi.org.ezproxy.lib.davidson.edu/10.1002/aqc.2514.